Barry Brook, an ecologist and modeller, is an ARC Australian Laureate Professor and Chair of Environmental Sustainability at the University of Tasmania. He is a highly cited scientist, having published three books, over 300 refereed papers, and many popular articles. 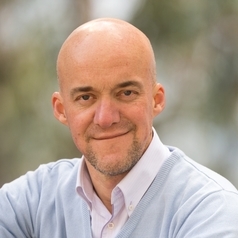 His awards include the 2006 Australian Academy of Science Fenner Medal, the 2010 Community Science Educator of the Year and 2013 Scopus Researcher of the Year. His research focuses on the impacts of global change on biodiversity, ecological dynamics, forest ecology, paleoenvironments, energy, and simulation models. Macquarie University, B.Sc. (Hons I), Ph.D.